When U.S. companies dodge taxes, is it unpatriotic? The rush is on for big U.S. companies to lower their tax bills. They do it by merging with foreign companies in countries with lower rates and officially moving their home base. The strategy is called "inversion," and it's legal. But is it un-patriotic? 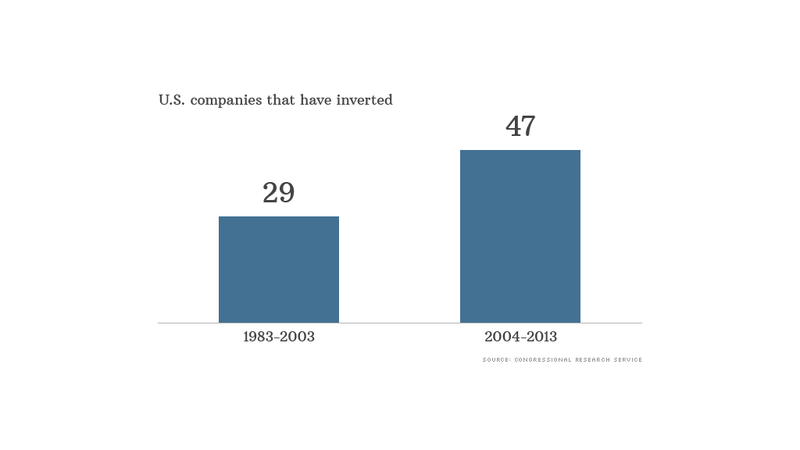 In the past decade, at least 47 U.S. companies have made the move. Several inversions have been proposed this year and more are in the works. The White House has been calling foul, and Democrats will be making it an issue before the November elections. "They're declaring they're based someplace else even though most of their operations are here. .. My attitude is I don't care if it's legal -- it's wrong," President Obama said in Los Angeles this week. He and Treasury Secretary Jack Lew have been calling for more "economic patriotism." Allan Sloan, senior editor-at-large at Fortune Magazine, has called inversions flat-out un-American. "Undermining the finances of the U.S. government by inverting helps undermine our economy," Sloan wrote in a recent cover story. Democratic Senator Charles Schumer, says U.S. companies benefit from doing business in the United States and should pay for the privilege. "You want to operate here? You want access to this market? You want access to the work force ... the economy? Understand this: To continue to have that access, you're going to have to pay your fair share of U.S. taxes." Most tax experts and politicians from both parties say the real culprit is the overly complex and outdated tax code. Democrat Ron Wyden, chair of the Senate Finance Committee, called the code an "an anti-competitive mess" in a hearing Tuesday. Since tax reform is on the slow train and inversions appear to be accelerating, Wyden and others want a short-term fix to stem the tide until the code is properly reformed. But that's unlikely to happen this year. The trend of U.S. companies moving abroad is more a testament to, among other things, "the importance of non-U.S. markets for U.S. firms," said Mihir Desai, a Harvard professor of finance and law. "Rather than questioning the loyalties of executives it is critical to understand these underlying ... forces." More than patriotism, everyone's concern is that the corporate moves will reduce U.S. jobs. Witnesses at the Senate hearing Tuesday couldn't point to hard evidence to either support or contradict that fear. "It could go either way. If the foreign company is a better managed company, they bring in new technology, it could increase jobs," said Peter Merrill, the director of PricewaterhouseCoopers national economics and statistics group. But based on anecdotal evidence, "high-value headquarter jobs ... may well get relocated when [a U.S. company ] becomes foreign-owned," Desai said.